We've already won the Preseason Treble, what else is there to win? Oh, right. All that other stuff. The 38-match round-robin tournament begins now and Arsenal are... well, they're not favorites, but they're not dark horses, either. But, all of those media outlets that always pick Arsenal to finish 5th every season are now picking Arsenal to finish 3rd. So, that's nice. Plenty of pundits are even predicting Arsenal to win the league this season, which is new and exciting and I don't know how I feel about it. Bear in mind, we all felt really confident going into last season and then the first half of the season happened. The difference now is that Arsenal are finally starting to clear their mental hurdles. You might be wary of putting too much stock in winning the Community Shield, but you cannot deny how important the 1-0 win over Chelsea is for this club psychologically. So, how about we go for 90 points this year? You can expect a big year from Jack Wilshere if he can... wait, what's that now? Well, Jack Wilshere is expected to miss what the club has called "several weeks" (which can literally mean anything with this club) after suffering a hairline fracture in his left tibula during training. I suppose with Abou Diaby gone, his lack of luck has been transferred to someone else. The good news (if there is good news) is that Arsenal has a tremendous amount of depth at his position; it wasn't even likely that Jack would make the starting XI anyway. So, on the pitch, the club won't really feel the ramifications of this injury until the fixtures start getting congested on European weeks. 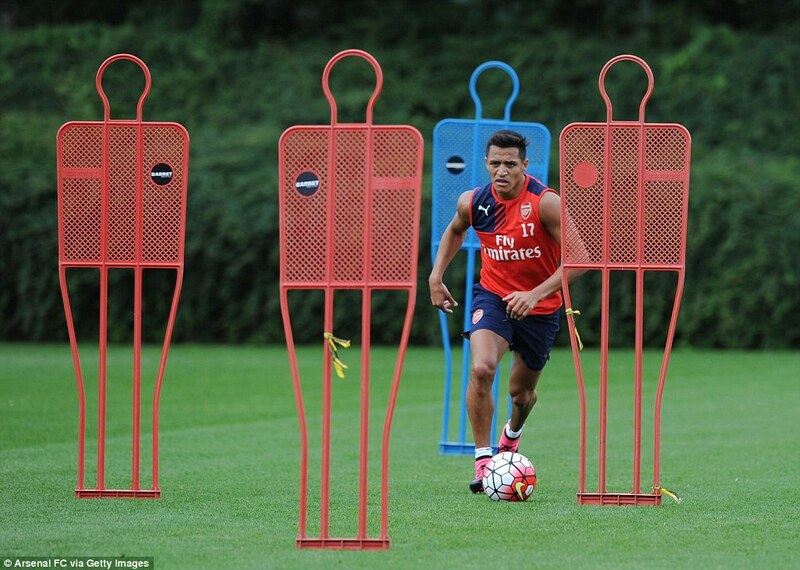 Elsewhere in the squad, Alexis Sanchez is back in training but likely to be short for Sunday. Danny Welbeck and Tomas Rosicky, both out with knee injuries, are back in training as well but are also both likely to be short. That leaves the forward role as the only question in the XI. Arsene Wenger opted for Theo Walcott over Olivier Giroud in the Community Shield, as Theo's pace was deemed more critical against Chelsea's stout positioning. I would expect the selection to be the other way around on Sunday, but I have a feeling my predictions are going to be pretty far off until the team settles into a groove. Predicted XI: Cech, Bellerin, Mertesacker, Koscielny, Monreal, Coquelin, Cazorla, Ramsey, Ozil, Oxlade-Chamberlain, Giroud. 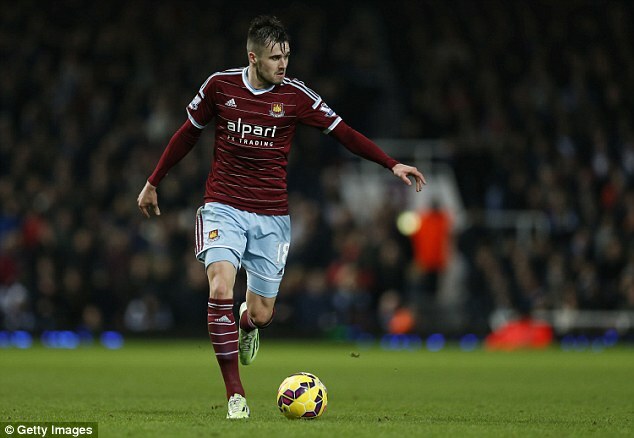 Still weird seeing Jenko in claret and blue. West Ham are light up top, with Enner Valencia suffering a knee injury in the first leg of West Ham's third qualifying round Europa League tie that will keep him out for three months. As Andy Carroll is still slowly on the way back from his own knee injury, the Hammers traveled to Romania for last night's second leg with Modibo Maiga starting up front. To maintain the remaining health in the squad, manager Slaven Bilic prioritized Sunday's meeting with Arsenal over last night's European match, bringing only two first team players on the trip: Kevin Nolan and Carl Jenkinson, the latter of whom is unavailable to play on Sunday against his parent club anyway. The result, of course, was crashing out of Europe. Elsewhere, there are doubts over Winston Reid, Joey O'Brien, and newcomer Pedro Obiang. Tactically, Bilic has opted to play an attack-minded diamond midfield during Europa League qualifying, something that does not often work in English domestic play. He's more likely to revert to the commonly used 4-2-3-1 formation, one which he deployed while managing Besiktas. Predicted XI: Adrian, O'Brien, Ogbonna, Reid, Cresswell, Noble, Kouyate, Amalfitano, Jarvis, Payet, Sakho. Arsenal's season last year started similar to the way this season feels right now: a lot of optimism and a Community Shield win. Throughout the fall, however, injuries exposed Arsenal's lack of depth at certain positions and the Gunners stumbled through the opening half of the season. Falling behind 3-0 to Stoke by halftime marked one of the season's lowest points. Tottenham fans started to talk of a power shift after winning the North London derby on February 7, but that loss marked Arsenal's only league loss in a 12-match span, which saw the Gunners begin to have second place aspirations. They couldn't maintain the momentum, winning only two of their final six league matches, settling for a third place finish and a second straight FA Cup title. On Christmas Day last year, West Ham United were fourth in table, with 31 points in 17 games. They would go on to fall drastically, winning just three of their final 21 league games. The Hammers finished 12th and announced they would not be renewing manager Sam Allardyce's contract. They did manage to qualify for Europe, entering the Europa League in the first qualifying round after winning the Fair Play table. Arsenal ran the table during their preseason campaign, winning all five of their fixtures and winning three trophies in the process, two of which really don't count when you talk about winning trophies. Still, you have to look at the matches as a success when the Gunners finished with a 100% record. According to the club's official Web site, the only other time Arsenal finished a preseason with a 100% record (wherein that preseason contained more than just one match) was 2005. That might not fill you with a lot of confidence, however; recall that Arsenal needed the help of some dodgy lasagna to finish fourth over Spurs at the end of that season. I don't really know where to start with West Ham's preseason, because the Hammers have played eleven matches already, six of them being competitive fixtures. I'll cover the five friendlies first: the Hammers picked up wins over Southend United and Norwich City, draws with Peterborough United and Charlton Athletic, and a loss to Werder Bremen at the weekend. However, as alluded to in the previous section, West Ham have been playing in Europa League qualifying since July 2. They opened with the first qualifying round against Andorran side Lusitanos, winning 4-0 on aggregate after a 3-0 win at Upton Park in the first leg. Diafro Sakho was sent off in the second leg. In the second round, they faced Maltese side Birkirkara, winning on penalties after the tie was drawn 1-1; James Tomkins was sent off in the second leg. Because three's a trend, James Collins was sent off in the first leg of their third round tie against Romanian side Astra Giurgiu, a match which ended drawn 2-2. West Ham played the second leg of the tie last night in Southern Romania and lost 2-1, thus crashing out of Europe. before halftime in this match last year. 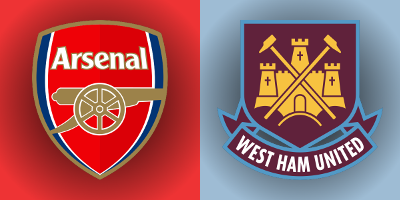 Arsenal won both matches against West Ham last year, including a 2-1 win at Upton Park in late December and a 3-0 stroll at the Emirates in March. 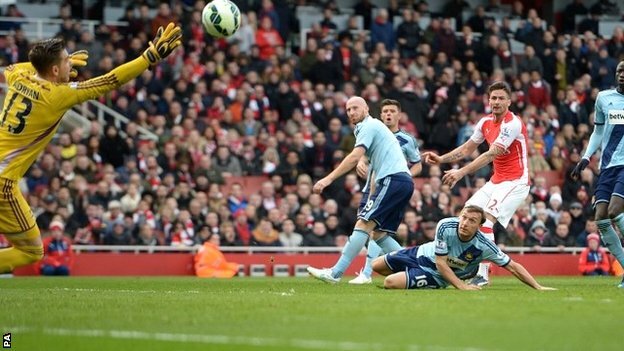 In East London, ex-Arsenal midfielder Alex Song seemed to have an early opening goal, but it was ruled offside. Arsenal struck twice before halftime to take a 2-0 lead through a Santi Cazorla penalty and a Danny Welbeck goal, but Cheikhou Kouyate's 51st minute goal set up a grandstand finish. At the Emirates, a beautiful goal from Olivier Giroud gave Arsenal their offensive breakthrough just before the stroke of halftime. Arsenal remained ahead 1-0 for much of the second half, though the match was much more comfortable than the scoreline sounds; Arsenal had 68% possession on the day and West Ham generated just one shot on target. Aaron Ramsey and Mathieu Flamini scored in the 81st and 84th minutes, respectively, to pad the final score. The match might be most memorable for referee Chris Foy, returning from an injury, needing to sub off during the second half; fourth official Anthony Taylor finished the match. Arsenal have now won ten straight against West Ham across all competitions and are unbeaten in their last 15 against the Hammers. West Ham's last win against Arsenal marked the first time a visiting team won at the Emirates Stadium; Bobby Zamora scored just before halftime and West Ham held on to win 1-0 in April of 2007. Atkinson is shown here forgetting the steps to the Macarena. The referee is West Yorkshire-based Martin Atkinson. Arsenal's recent record with Atkinson is mixed-to-poor. They had lost four out of their last five with Atkinson in the middle leading up to his appointment for Arsenal's FA Cup Semi-Final against Reading, a match the Gunners would go on to win in extra time. Arsenal's one win in that aforementioned five match span came on Boxing Day against QPR last year, in which Olivier Giroud had a moment of madness that saw him sent off. Atkinson also worked Arsenal's losses at Stamford Bridge and White Hart Lane last year. West Ham's record with Atkinson last season was even more mixed than Arsenal's, starting brightly but ending poorly. He worked a match in September in which West Ham came from behind twice to draw Hull 2-2, then worked the Hammers' famous 2-1 win over Manchester City in October. Their record improved even further with Atkinson as referee, with a 2-0 win over Leicester and a 3-0 win in the reverse fixture against Hull. Then, in February, things turned as Atkinson was in the middle for West Ham's 4-0 FA Cup crash against West Brom, in which Morgan Amalfitano was sent off just ten minutes after coming off the bench. He was also in the middle for their 2-0 loss to Newcastle on the final day of the regular season. 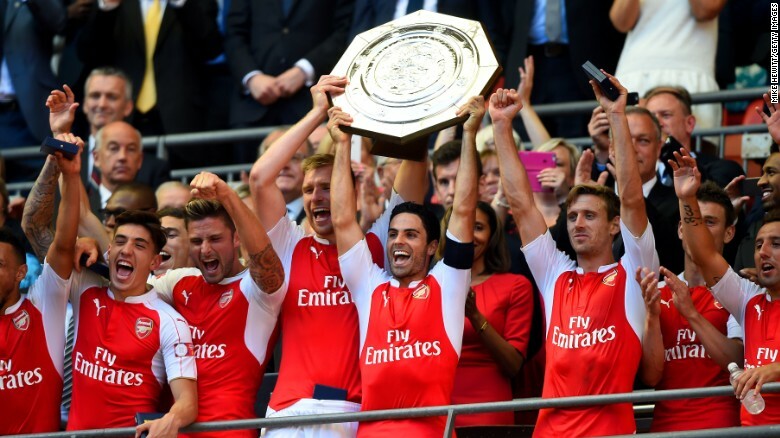 John Painting is a contributing writer to the Modern Gooner and King of the Seven Suns. You can follow him on Twitter @zorrocat, which he thinks is funny.